The PBX Caller ID Lookup Source supports Trixbox, FreePBX, Anveo, PIAF, and more. We were recently alerted to Users able to also connect with Vonage, FusionPBX/FreeSwitch, RingCentral, and 3CX with those instructions near the bottom of this article. 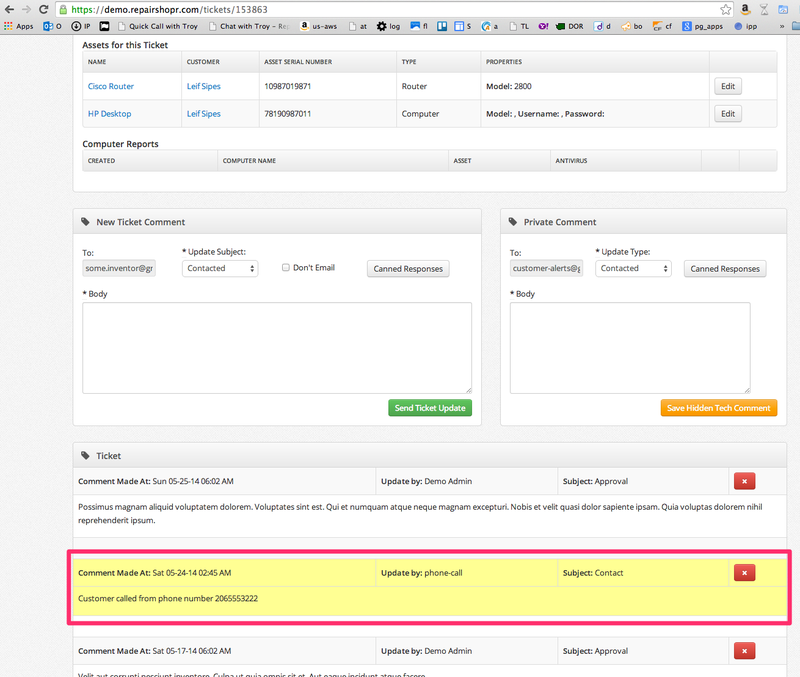 We have an API you can configure for your PBX to use your CRM as a "Caller ID Lookup Source". 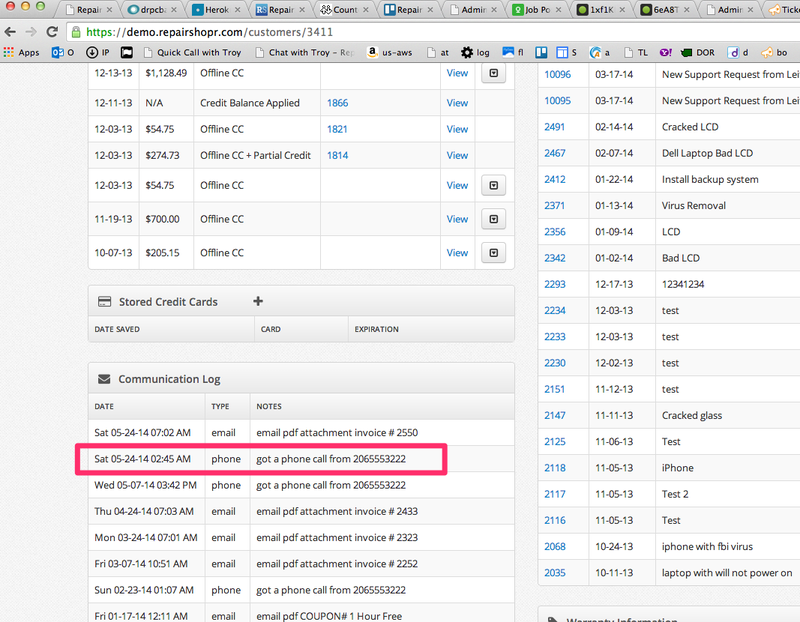 This will show an incoming call and log it to the Customer's Detail page. To log an outbound call, add &outbound=TRUE to query in the particular place of your integration that logs outbound calls if available. .Please, note that the Security Token should be made up of only alphanumeric characters, no characters like @ ! ? &. 2. Go to your inbound route, and specify it should use the lookup source you just created - done! 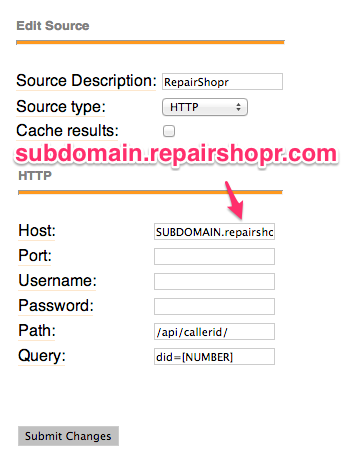 Add and configure an "HTTP" call control (found under "Integration Call Controls") with the settings in the attached screenshot, replacing "SUB" with your subdomain. The variable $[CLIENT.NAME]$ will now contain the lookup result and can be used in the remainder of the call flow. Be sure to add another field titled TOKEN and enter your token from the PBX Integration within RepairShopr. Then head to your inbound routes, and be sure to assign the source to your route. On your Inbound route, select the caller id lookup source you just created. 1. Download the Vonage Desktop Connect client to your desktop. 2. Make a test call and make sure that you do not have pop-ups blocked. 3. Switch over to your site and go to App Center and click on the Free PBX integration. Generate a token for your company. 4. Switch back to Vonage Desktop Connect and go to the settings area. 5. In settings click on the Web Launcher tab. 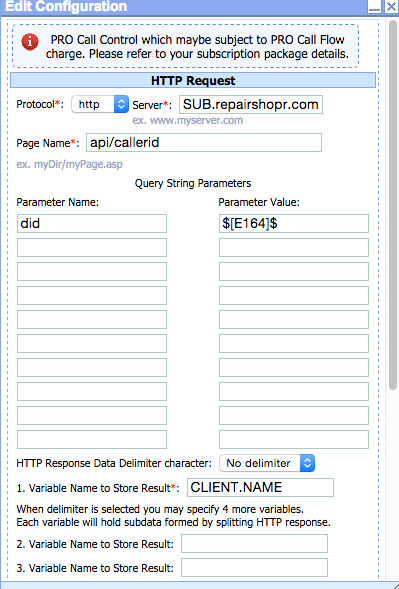 -In the box next to the name put this URL in minus the quotes - "http://subdomain.repairshopr.com/api/callerid/?did=[NUMBER]&token=tokenfromfreePBX"
7. Now click the Add button. You should see the URL you just built in the box below the Insert button. 8. Check the box for Incoming Calls and then click save. 9. Test by making a call into the system from a customer record associated with you calling from a number on your record. Note: the &amp; in the above URL is correct. And that's it! You should be all set to receive calls in-app. These settings have not been tested by RepairShopr.